HOLLYWOOD, Calif.--(BUSINESS WIRE)--Today Electronic Arts Inc. (NASDAQ:EA), in partnership with Hazelight, announced A Way Out, a new EA Originals game coming to players from the creative minds behind the critically-acclaimed indie title, Brothers – A Tale of Two Sons. 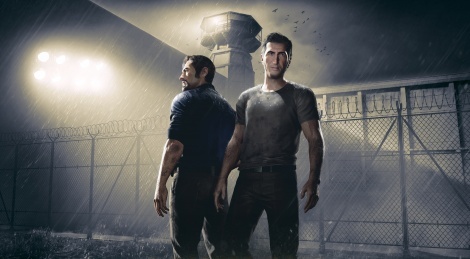 Coming early 2018, A Way Out is a co-op only game uniquely tailored for two players to work together no matter the situation. Through a compelling narrative, Leo and Vincent will embark on an emotional adventure, where they will live some memorable action moments that they will face together including car chases, stealth passages, melee fights, shootouts and many more. Hmm, interesting... but i don't like the fact of a permanent split screen. Ah, man. I need those 2 trailers in very high quality - maybe 4K - so badly. Best game in the EA conference for me. Still trying to get accustomed to the fact that this is a 2-player only game. Still, Brothers; A Tale of Two Sons was epic and I'm sure this won't be any less epic. I really hope this game is awesome because its finally something new and a very interesting idea. It sounds perfect for couch coop but i really want to know more about how it works online coop especially if you don't communicate with mics. Are there any in game commands maybe? Amazing. These devs are top notch. it's great that one of the leads isn't barbie croft or plastic drake pretty model. Looks brilliant! Awesome idea and great execution. I don't think there is a splitscreen when you play it in online coop. But it's great that there is a couch coop mode! Definitely a good idea for a coop game, let's see how it turns out. I don't think so, the game looks to be designed in a way that you need to be able to see your partner's portion of the screen, especially for scenes where you are not in the same area/room. Also you can see in the trailer that they are doing different kinds of splitscreen instead of just the usual method. Split screen is always visible. That's the thing, you follow the story on both screens. Why is some deformed Nathan Drake from uncharted 4 in the key art? I think he's modeled after the producers irl brother actor Fares Fares. Those look like two completely different people with similar hair cuts. Yes, I was about to mention Fares Fares as well. Was the first thought that came to mind the second I saw one of the characters. Though the character also has a certain likeness to Josef Fares, the director and writer of the game. The Fares brothers are very well know in Sweden, Denmark, Norway, etc. 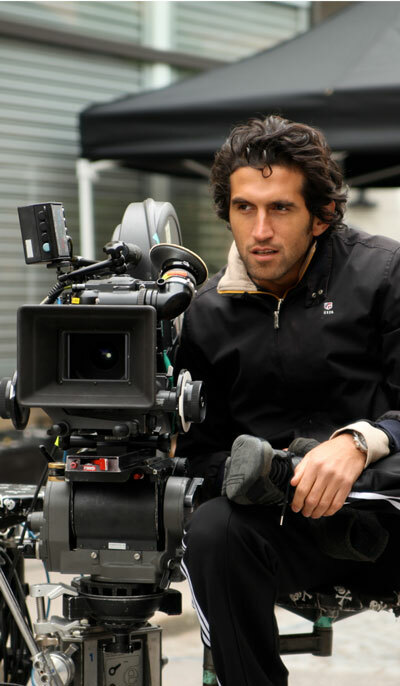 Josef Fares is a very well know film director in many European countries, as well as the director and writer of Brothers: A Tale of Two Sons and A Way Out. "Born in the midst of conflict, a refugee set out to tell his story by any means possible." His brother, Fares Fares is also a very well know actor, among his movies are: Rogue One: A Star Wars Story, Zero Dark Thirty, Safe House, Child 44, Snabba Cash (Easy Money) 1 and 2, Flaskepost fra P (Department Q: A Conspiracy of Faith), Kill Your Darlings, and many, many more. I definitely recommend Flaskepost fra P (Department Q: A Conspiracy of Faith) and both Snabba Cash (Easy Money) movies. You got me there. Though to be fair, I'm a fan - not big, just normal level - of Fares Fares, and he looks distinctively different than his brother. It looks like it's modeled after Fares Fares. But I could be wrong. "The action begins with the pair in their car, planning the operation. Your first choice is which character out of the pair carries the gun. It's a moment where one player can choose to take the lead on the forthcoming scene, and an opportunity to try out the game's two-player dialogue wheel. You can only progress when both players agree on the same choice - something which Fares told me was intentional, to spark conversation between those playing." "...the experience of working together and communicating, of real-world interactions, will stick in my memory long after EA's flashier fireworks have faded."